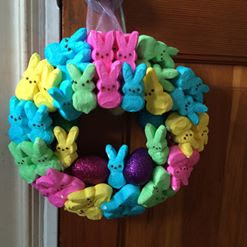 Some of the first ones we tackled were the Peep Wreaths! The sky is the limit on how many you want to add or the different styles you can do. And what I love is Peeps is around for every holiday so you can continue to create wreaths for each season too! I love the Dollar Tree. They have foam rings for only $1.00. You'll want to grab some ribbon or yarn that you can use to wrap around the ring so your foam doesn't show. I found some really nice wide ribbon at Walmart for only $1.00 that I was able to use to wrap around a few wreaths. Yarn takes a long time to wrap but I love the different color combos you can create with them too. The Peeps I picked up from Walmart for $1.00 for a 9 pack of bunnies. Our local store had 4 colors available so I grabbed all 4! The accents you can do whatever you'd like. 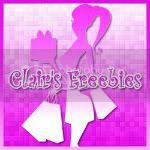 The Dollar Tree is a great place to grab some Easter or Happy Spring sayings that you can use in the middle of the wreath or add a few eggs too. But you can leave them off and just make it all about the Peeps! 1. Wrap your wreath in your choice of ribbon or yarn and then grab your Peeps! Don't forget to add your string or ribbon that you'll use to hang your wreath up before you start adding Peeps! 2. Because you are using a glue gun nobody should be eating the Peeps that you are using on the wreath. And because they are marshmallows they will be a little bit sticky. I like to put them into the freezer or separate them and leave them out for a few days so they become stale and hard. 3. Start to lay out your Peeps. Are you looking to do once around the outside or rows of 2? Play with it a little bit if you aren't sure. Once you add the glue you're going to get one shot to put it on otherwise the mess will be the same as a S'more with no chocolate or graham crackers. 4. Start your gluing! Add a few dabs and place your Peep and you're on your way! Use bunnies or chicks or reindeer for Christmas. The possibilities are endless! 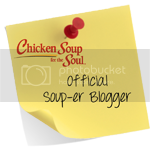 I love this craft because it only costs about $6.00 to make. My daughter loves it because she gets to eat any of the left over Peeps that we have. You are able to keep a Peep Wreath for more than one year. You just need to make sure it doesn't get wet (sticky!) and it needs to be in something that will protect it (ants!). We have one we created 2 years ago that we place inside of a wreath box and into the freezer when not in use. Aside from it being dropped once we took it out of the freeze and a bunny losing an ear it's still in fantastic shape! 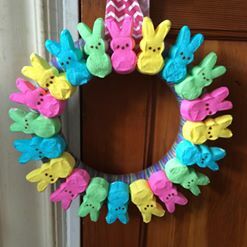 Of course you can check out Pinterest for lots of Peep Wreath ideas! I have a few more wreath ideas coming soon too! Happy Crafting!